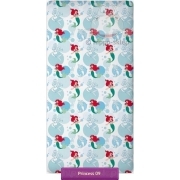 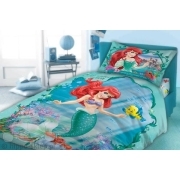 Ariel / Little Mermaid kids bedding collection and accessories with Princess Ariel character – Mermaid from Disney movies: The Little Mermaid and Return to the Sea and Disney Junior channel animated series about her adventures with Flounder and Sebastian. 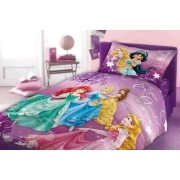 A collection of Disney licensed kids bedding little Princess Ariel in various size – single, twin and others, made of 100% cotton, and bath children’s towels, fleece blankets and accessories. 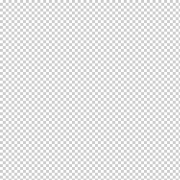 Safety certificated according to Oeko Tex standard 100, careful finishing and fantastic coloring linen and towels for the girls. 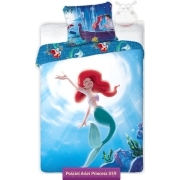 Bedding set with Ariel may be a practical gift for the little fans of her underwater adventures.